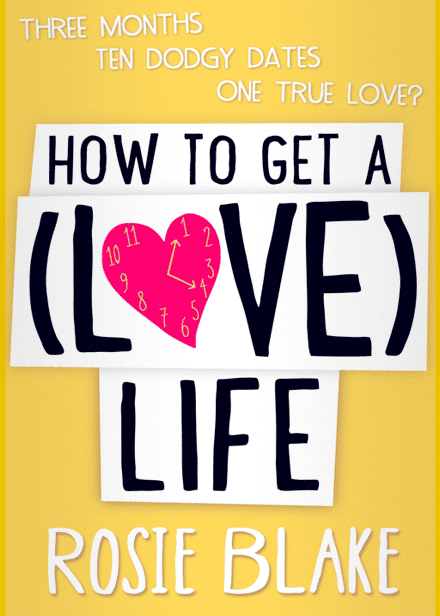 The ladies at Novelicious recently revealed the cover to their latest book ‘How To Get A (Love) Life by Rosie Blake and I have to say that this bright and quirky looking cover will definitely stand out on the shelves. Nicola Brown, an uptight and introverted young woman who has never had a date on Valentine’s Day. Following a bet with a work colleague, Nicola has to put aside her hang ups to go on as many dates as she possibly can in order to find the perfect man in time for February 14th. Having enjoyed the Novelicious books in the past, I imagine that this book will be just as witty and fun as the others and look forward to getting stuck in! To mark the release ‘How To Get A (Love) Life’, Handwritten Girl will taking part in the book blog tour and Rosie will be taking over the website on Friday 31st January 2014.